This article is the online extra from the July/August 2018 issue of Zymurgy magazine. Homebrew shops are increasingly making craft malts available to homebrewers. While small-batch malts can be more expensive than malts sourced from high-volume malt companies, there many reasons to try them in your next beer. Locally sourced ingredients have caught on in a big way with craft brewers. 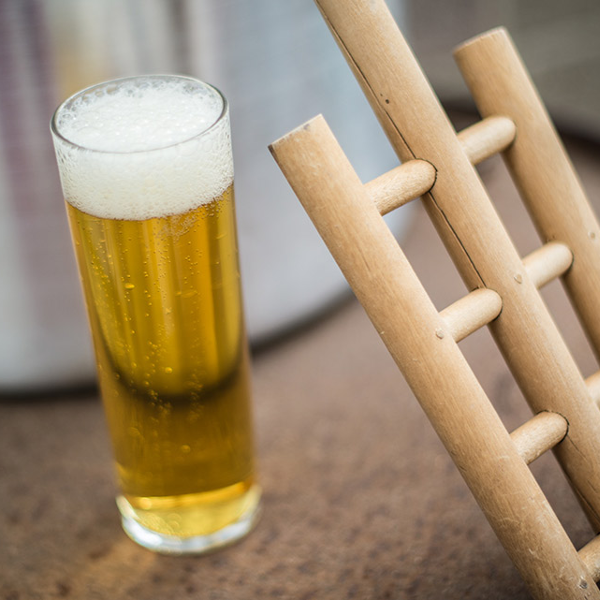 Homebrewers have also long had a knack for the local and the homegrown. Many homebrewers grow hops and harvest them year after year, either drying and packaging them for later use or making that special wet-hop IPA in the fall. Fruit beers always seem better when they include cherries or stone fruit grown in your own backyard; the same is true for spruce trips from a neighbor’s tree (check out the May/June issue of Zymurgy for great spruce tips tips). Even local yeast is on the rise. Why have liquid cultures shipped from afar when a lab offers strains just an hour away? Still, by volume, malt remains the second-biggest ingredient in nearly every beer style, and that means cost is usually a factor. Homebrewers used to do whatever they could to keep the price of a batch reasonably low, whether it was a group pallet purchase of 50-pound (22.7 kg) bags arranged through a club or a bulk bag buy from an accommodating homebrew shop. Some still do. 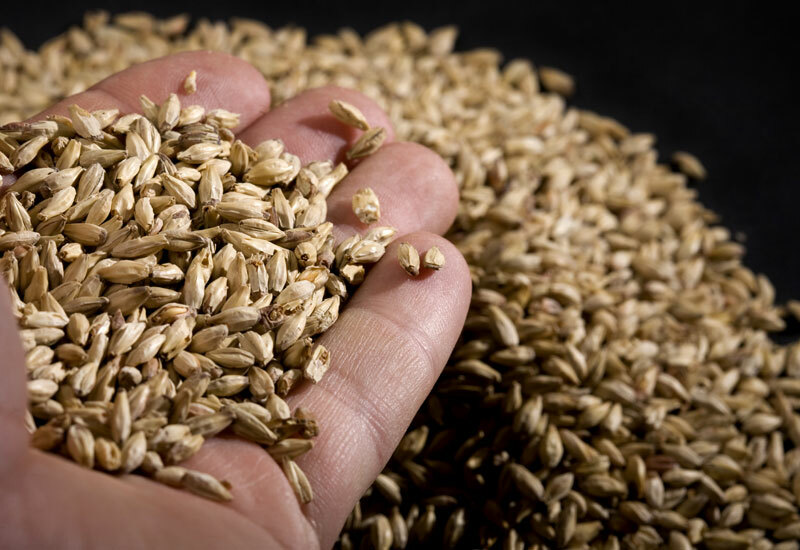 Some styles demand top-quality Pilsner malt from Germany or genuine UK Maris Otter, but many brewers do just fine with domestic two-row malt. But that’s changing, and with roughly 50 craft maltsters operating around the country, amateur and professional brewers are paying more attention to factors like provenance, freshness, and creativity. In Oregon, Mecca Grade Estate Malt makes no bones about its malt being unique, independent, quality-driven, and expensive—beer made with Mecca malt adds, according to the company, 12 cents to the cost of a standard pint. But for that price, you get a choice of four base malts and three specialty malts made from grain grown on the family’s farm in Madras, Ore.
You also take advantage of some highly efficient and unique malting technology, as Mecca uses a proprietary hybrid mechanical floor malting process. This modern approach to a traditional method lets Mecca’s maltsters maintain a shallow 12-inch (30 cm) bed of grain that’s in continuous motion as it goes through the steeping and sprouting phases to ensure maximum consistency. Steeping is accomplished with a water-saving spray method, sourced by an ancient onsite aquifer, and excess water is recovered for irrigation. Portland, Ore.–based homebrew shop F.H. Steinbart sells a full line of Mecca Grade malts for amateur and professional brewing enthusiasts across the nation and raves about the quality. And with product names like Vanora, Metolius, Wickiup, and Lamonta, you feel like you’re standing in front of a chalk board at a new brewpub, wondering if you should go for a single pint or take the sampler flight. As with brewpubs, craft maltsters come in all sizes—some micro, some nano. Fort Collins, Colo. is home to Troubadour Maltings, established in 2015 by Chris Schooley and Steve Clark. The two met when their eldest daughters attended the same elementary school. Clark was an avid homebrewer, while Schooley’s background was in coffee sourcing and roasting. The two hit on a plan to approach malting the same way coffee roasters made their mark. 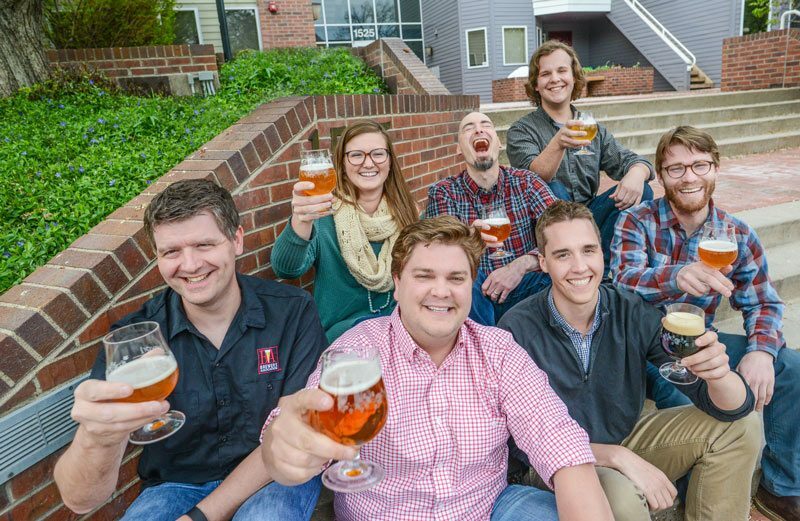 They saw a market for locally grown barley, custom-malted and kilned in relatively tiny increments of 5 tons (4,500 kg) per batch to supply the 24 craft breweries in and around Fort Collins. (Mecca Grade’s capacity, by comparison, is closer to 12 tons—nearly 11,000 kg—which is still very small by industry standards.) Schooley and Clark were put in touch with local farmer Greg Walker, who was growing a new variety of malting barley called Genie. As with Mecca Grade, Troubadour’s founders knew cost would be a hitch. 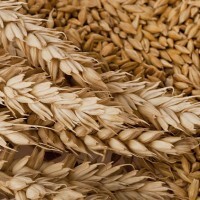 Their products would be unique and flavorful, but without the production scale of a large malting facility, nano-malt would be more expensive than similar domestic or even imported malt. But that didn’t prove to be much of a problem: most professional and amateur brewers in the area were perfectly willing to accept a premium for local malt. The American Homebrewers Staff. [Back row, left to right] Millie Shamburger, Gary Glass, Duncan Bryant [front row, left to right] Dave Carpenter, Matt Bolling, Steve Parr, and John Moorhead. Not pictured: Amahl Turczyn & Megan Wabst. Brewers were delighted to support local business, and they relished the chance to call up a local maltster for in-depth technical information they could use to improve their own brewing processes. That relationship was already proving successful with local hop growers, and even local yeast banks, but at the time, no one was doing it in the area with malt. Troubadour’s founders did some test batches and hit upon a naming scheme that provided a unique lineup of products. Schooley’s coffee background had inspired some great ideas; in that world, you took a bean variety grown in Columbia, applied a unique roasting profile to bring out specific attributes—cream, earth, vanilla, chocolate, and acidity, for example—dialed in the process for consistency and repeatability, and branded it with a proprietary name: Fuzzy Weasel, Blonde Bull, Buffalo Gold. Actually, that last one’s taken, but you get the idea. Troubadour courted local breweries with their products and got neighborhood homebrew shops to offer their malts. A major success was attracting the attention of craft brewer Oskar Blues, which uses a small proportion of Troubadour Blue Ballad malt in its popular Beerito Mexican-Style lager. It meant paying more for their grain bill, but the payoff came in printing the words “brewed with Colorado-sourced craft malt” on the label and knowing that the toffee, bread crust, and toast profile of Blue Ballad added a dimension that’s difficult to imitate with other malts. I personally think Beerito is one of the best dark Mexican-style lagers made anywhere in the world today. It pours a clear, ruby-amber with white foam and an herbal-grassy hop note. Faint toffee and toast from Blue Ballad provides depth of flavor without sticky caramel sweetness, though the palate weight is velvety. Yes, the beer is made with other malts like Weyermann Barke Vienna, Cara Belge, and melanoidin, but the Oskar Blues approach to this modest 4% ABV lager builds balanced layers of flavor without any one specialty malt dominating. Blue Ballad remains an important one of those layers. Another Front Range Colorado craft maltster, Root Shoot Malting, grows its barley onsite just like Oregon’s Mecca Grade. 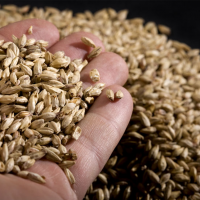 When Todd Olander and his wife Emily took over Todd’s 1,500-acre (600 hectare) family farm in Loveland, learning the science of malting was a natural extension to his already strong background growing barley and other grains. Olander studied malting in Canada and New York and was further inspired by visits to Weyermann’s malthouse and Kaspar Schulz’s malt equipment factory, both in Bamberg, Germany. I got a chance to see their massive array of Kaspar Schulz malting equipment when I visited the Root Shoot facility with a growler of homebrewed Bohemian Pils. It’s the only one of its kind in North America and one of only three in operation worldwide. The technology behind it allows the maltster to fine-tune each batch according to what’s desired in the final product. The scale of the equipment is astonishing, with an immense chain-driven rotating drum with the capacity to produce 10 tons (more than 9,000 kg) of malt per week. The combine harvester and storage silos out back were no less impressive; for a crew of two or three to plant, irrigate, harvest, store, and then steep, germinate, sprout, and finally kiln and package this much barley is amazing. The couple do a large portion of the work themselves and are friendly, gracious, down-to-earth people happy to talk beer, brewing, malting, farming, and everything in between. But as enthusiastic as they are, they’re also humble. “We’re still experimenting with some different kilning profiles,” Todd said, producing some bagged grain samples. “A big part of the flavor that comes through in beer comes from how the base malt is kilned.” One sample I got to try was of a Munich-style malt that had light bread crust flavors. “One we did recently tasted like peanut butter,” he laughed. That might be a big hit with local craft brewers like Liquid Mechanics, who have a very popular peanut butter porter in their lineup. For a local craft brewer to team up with a local maltster makes perfect sense, and the relationship can benefit both sides. Root Shoot has a close working relationship with Station 26 Brewing in Denver, who use the Loveland craft barley in their Tangerine Cream, Juicy Banger IPA, and flagship Colorado Cream Ale. For Station 26, the local connection is a huge part of why they use Root Shoot malt, but perhaps even more important is their ability to work closely with Todd and Emily to make minor modifications to the malt profile for maximum consistency. How many craft brewers, let alone home brewers, can call up a malting company and have a batch made to order? The proof of this relationship’s success is in the flavor of the beer. The Genie Pale custom two-row malted for Station 26 gives Colorado Cream Ale a honey sweetness laced with bread, straw, and what I perceive as an apricot fruitiness, but with a clean, dry, almost mineral finish. It’s quintessentially refreshing and even more satisfying knowing the beer was brewed 40 minutes south of where I live, from barley grown and malted 20 minutes north. 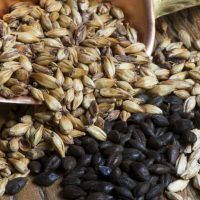 I wanted to know what kind of differences craft malt could make in my own beer if it were given center stage while keeping all other variables the same. I decided to brew three batches of Bohemian Pils like the one I’d shared with Root Shoot, each with a different base malt. The Olanders were generous enough to donate a bag of their Odyssey Pils to the effort, while Schooley provided some Troubadour Pevec Pilsner malt through my local brew shop, Boulder Fermentation Supply. The recipes would be nearly SMaSH (single malt and single hop) beers. They’d use only the guest star Pilsner base malt, with just a bit of Weyermann acidulated malt to hit the correct mash pH. Hops were noble, understated German varieties: Magnum for bittering and Spalt Select for aroma and flavor. Yeast was that old workhorse Czech Budejovice, and water was 100 percent reverse osmosis laced with just enough calcium chloride to bring out the malt and keep the yeast happy. I used a single decoction mash to amplify the base malt flavors. View the recipe. I kept the procedure as consistent as possible batch to batch, and I was happy to hit nearly perfect times, temperatures, volumes, gravities, and apparent attenuation for each brew. I fined each batch with gelatin, kegged, force carbonated, and put each into cold storage. After two months of lagering, it was clear upon tasting that there were some obvious differences. One surprise was hop intensity. Even though I’d used the exact same amounts, at the same times, on the same equipment, in a very similar process, one batch was clearly hoppier than the others. Was this due to malt presentation? Degree of modification perhaps? Each beer had finished at 2° P (1.008), but one was plainly drier-tasting, another maltier. Short of lab analysis, there was really no way to know for sure, so I counter-pressure bottled samples from kegs of each batch, marched down to the AHA offices in Boulder, Colo., and handed them off to AHA web editor Duncan Bryant for evaluation. Judges included BA technical brewing projects coordinator Damon Scott, AHA business programs coordinator Millie Shamburger, BA Export Development Program manager Steve Parr, AHA director Gary Glass, and AHA competition coordinator John Moorhead. Bryant rounded up these talented tasters and coordinated the judging. Their tasting notes are given below. I was surprised at how different the beers were from each other; if my brewing consistency can be trusted, the differences should be mostly due to the malt used. From the notes, Troubadour Pevec Pilsner malt seemed to produce a full, complex, sweet lager, probably closest to the target style. Root Shoot Odyssey malt seemed to make a drier, more German-style Pilsner with a finish that judges associated with “mineral.” It seemed to emphasize the hops used, though at least one judge identified the fruity quality I’d detected earlier. The Weyermann Barke malt elicited reactions ranging from “full” to bready, nutty, and grainy. I hope you make it your own personal mission to explore the complexity and variety your own local maltsters can make in your beer, and I urge you to set aside some time to visit and tour their facilities. It’s an exciting time for fresh, local brewing ingredients, and local malt should be the next one on your list. Thanks to everyone who participated in this little adventure! Middle color, middle hop character. Lightest in aroma and flavor. Overall, a clean beer more representative of German Pilsner balance. Possible mineral quality. Sulfur, light, mineral, adjunct. Fruity. Grainy with prominent hops balanced by rich toasty, slight caramel malt. Great finish and inviting. Distinct apricot ester. More German-style than Bohemian. Odyssey came across as most highly carbonated both in appearance and mouthfeel. Darkest color, least hop character. Full overall flavor and character. Tastes traditional. Color is right where it should be. Bitterness seems harshest in this sample—possible astringency. Sweet, honey, bread, aromatic. Interesting, complex malt flavor. More depth of flavor, but not traditional grainy Pils character. Toasty and sweet. Highest on diacetyl. Slight bitterness in finish compared to others. More yeast character. Lowest head retention of the group. Lightest color, most hop character. Balanced but maintains depth of character. Very nice, round mouthfeel. Bitterness is pleasant, less astringent. Caramel-like sweetness. Crisp, grainy, crust. Classic Pils malt character. A bit of nutty character, perhaps oxidation. Mellow, creamy mouthfeel. Balanced finish with lower bitterness than others. Classic Pilsner malt. The most malty/biscuit-like character in the group and the lowest diacetyl. 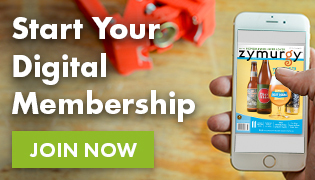 Amahl Turczyn is associate editor of Zymurgy.